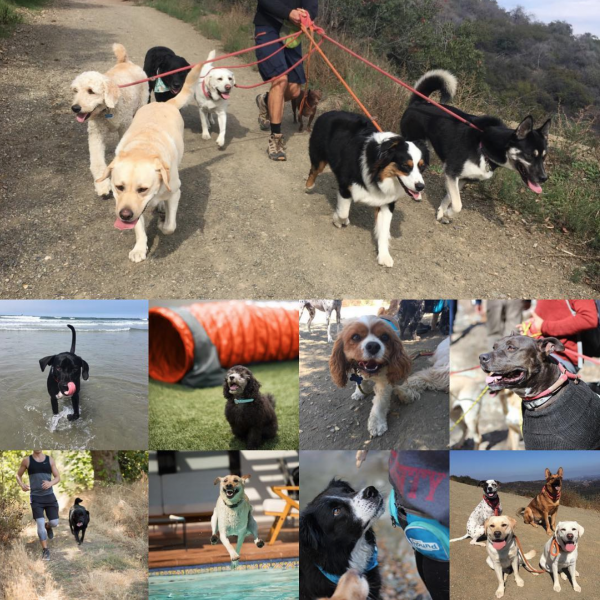 This past January, we hosted a 31-day challenge to a happier, healthier dog on our Fitdog Sports Instagram. The result was an easy-to-follow guide on simple, healthy habits and activities that enrich your dog’s life. Here’s the complete run-down of our 31-day challenge. Try it for yourself at home, and let us know what positive changes you notice! Always take your dog on the same walk? Do they know exactly where to turn and where to stop? Spice things up today! Even just taking your normal route backward can give them a little variety. Weighing your dog gives you a gauge of how much they weigh, and if necessary, how many lbs they should ideally lose. Never put your dog on a diet plan without first consulting a veterinarian. Use this chart to get an idea of what stage your dog might be in. 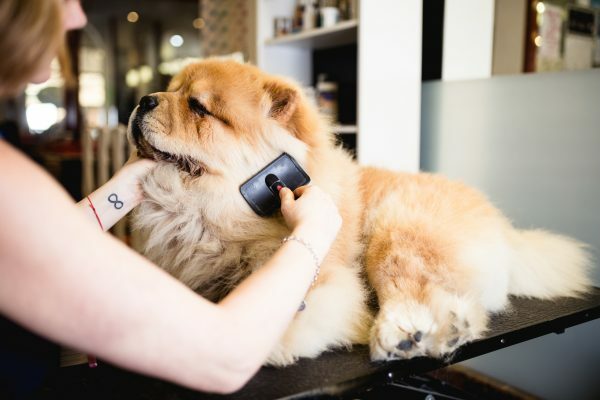 There is no shame around having an overweight dog, but the better physical shape they’re in, the more likely they are to live longer, happier, and more energetic lives. Remember when you used to measure your dog’s food, but then you got so good at eyeballing it that a measuring device was no longer necessary? Check the daily food measurement for your dog’s ideal weight and give them that much food. You’ll be surprised at how much food they’re supposed to have each day. 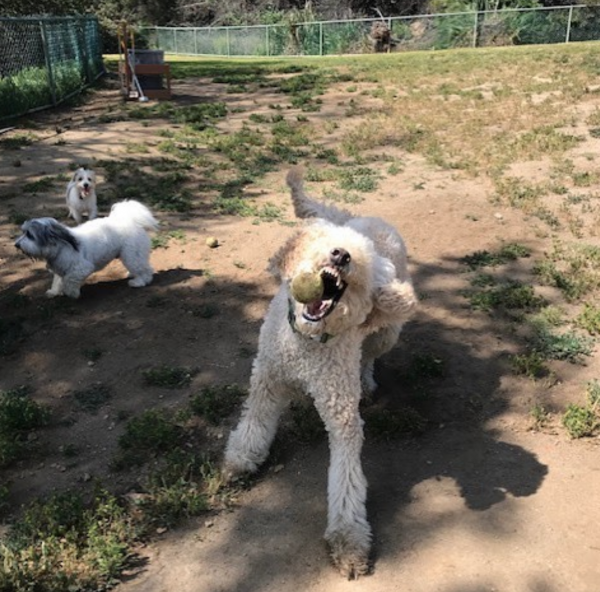 Head out to the dog park for some socialization and bonding time! 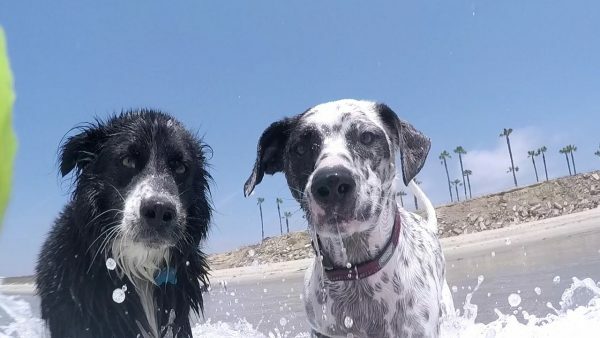 Bring a toy or two and keep your phone put away– your dog will never be happier. Novelty is not just for humans; dogs like new stuff too. Sign your dog up for a Cardio Tricks or agility class. 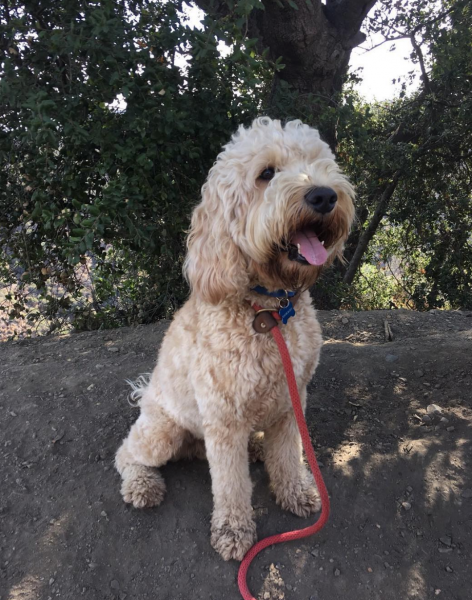 If you don’t have time to bring your dog, sign up with Fitdog, and we’ll pick up your dog. Whether your dog has a long or short coat, brushing helps to spread natural oils and is soothing for your pup. It also helps with circulation and prevents matting. Our houses can get busy and sometimes family members can inadvertently double, triple feed their dog. It’s important to communicate how much and when your dog eats. 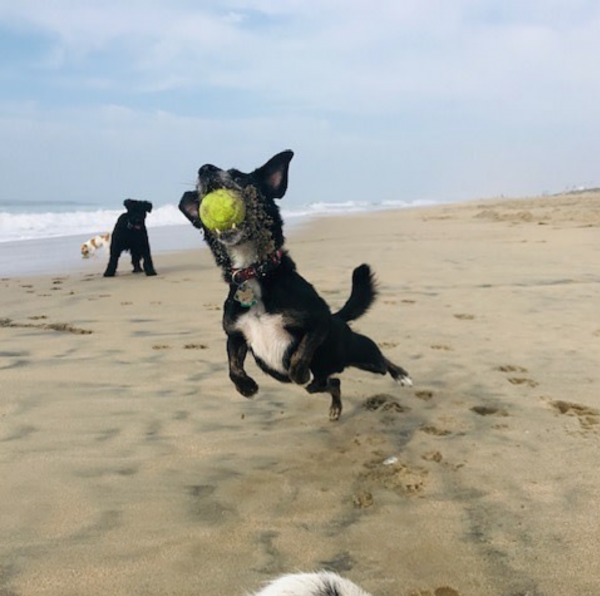 This will definitely cut down on your pup’s waistline and make it easier for them to enjoy fun activities, like playing fetch at the beach! 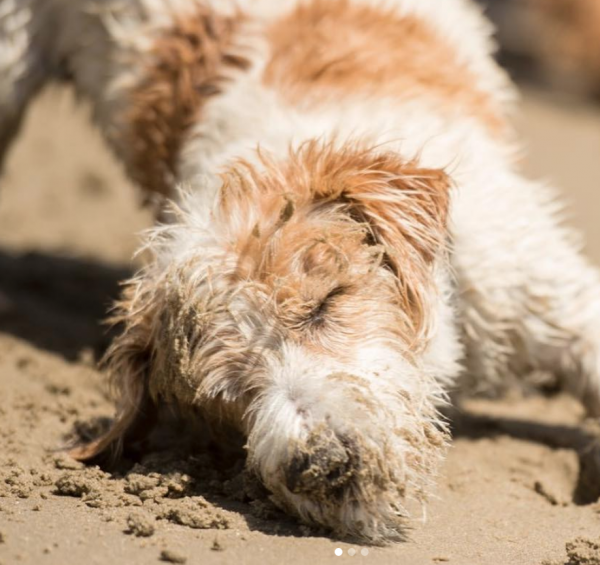 This can help you gain an understanding of your dog: their drive, needs, capabilities, and medical predispositions. Maybe you learn your water dog was bred to fish generations ago, and that’s why they love the pool. Puzzle toys challenge dogs mentally to solve puzzles and get to the hidden treats. 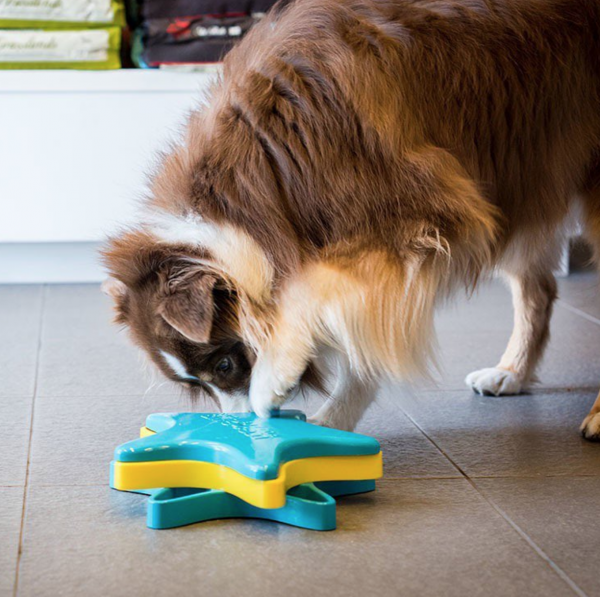 By using their nose and trying to figure out the puzzle, your dog will be occupied and happy. If you don’t have a puzzle toy, you can easily make one with simple household items! Dental hygiene is just as important for dogs as it is for humans. Brush your dog’s teeth, or have them cleaned at one of Fitdog’s monthly in-house dental clinics with Smile Specialists. Did you know that 15 minutes of mental stimulation is equal to a 3-mile walk? 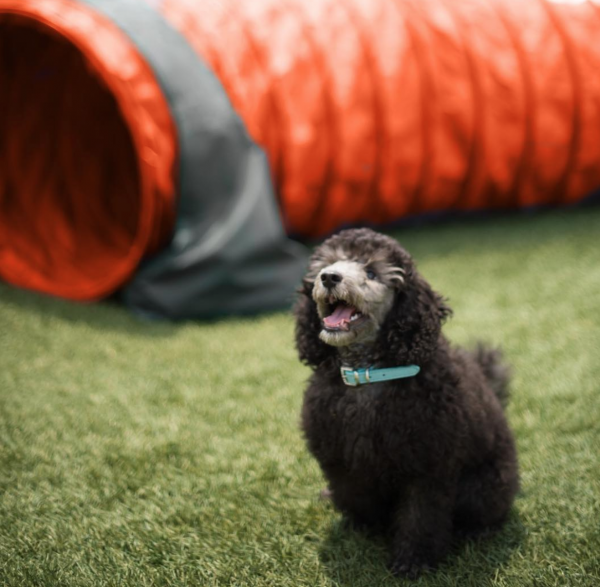 Plus learning new things such as games, tricks or obstacles keeps dogs engaged and happy. Day 17: Let your dog run around! 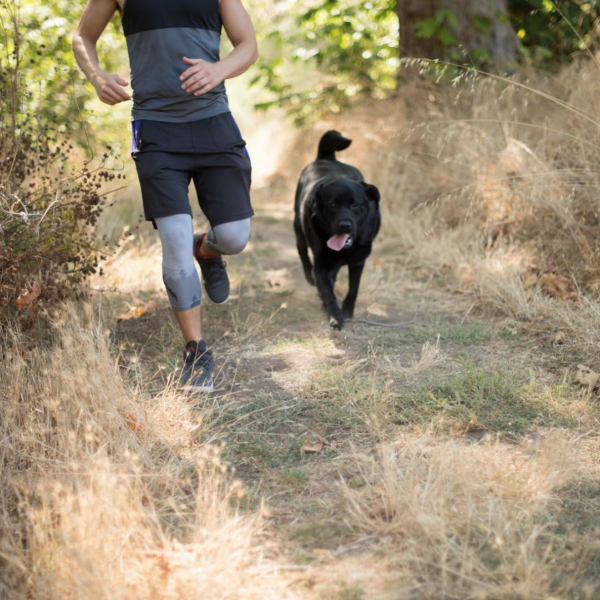 Dogs love a good run. 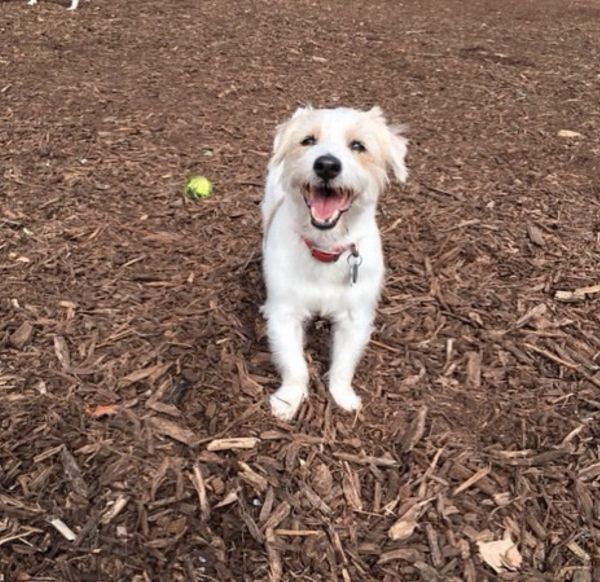 Take them to a safe, enclosed place (like a dog park) and let them run around and be carefree. 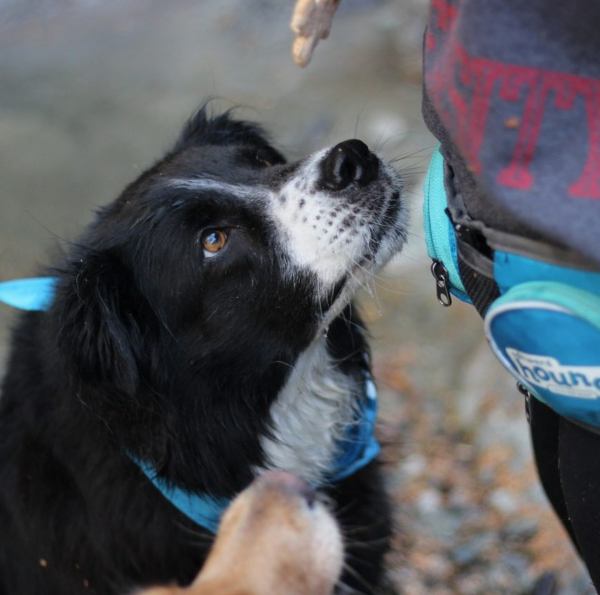 Tricks keep your dog’s mind sharp and will improve your bond. Stop feeding your dog at the dinner table! All of those scraps add up. We know. It’s hard. If you can’t resist, substitute veggies like carrots or green beans. Many of us take our dog out for a quick potty break and call it good. Taking a walk instead gives your dog added exercise and stimulation and also helps you wind down for the evening. Dogs are smart. Kibble or dried biscuits may not be worth it to them. Make it worth it by introducing high value treats like doggy meatballs or plain chicken. 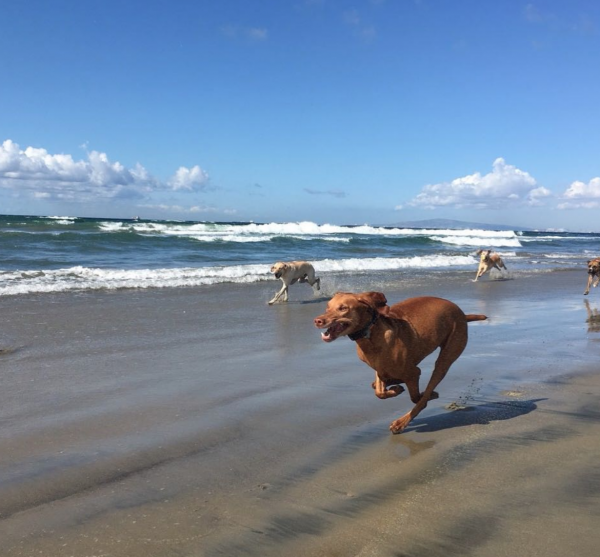 Plan a day for you and your dog to check out a new trail or dog-friendly happy hour. 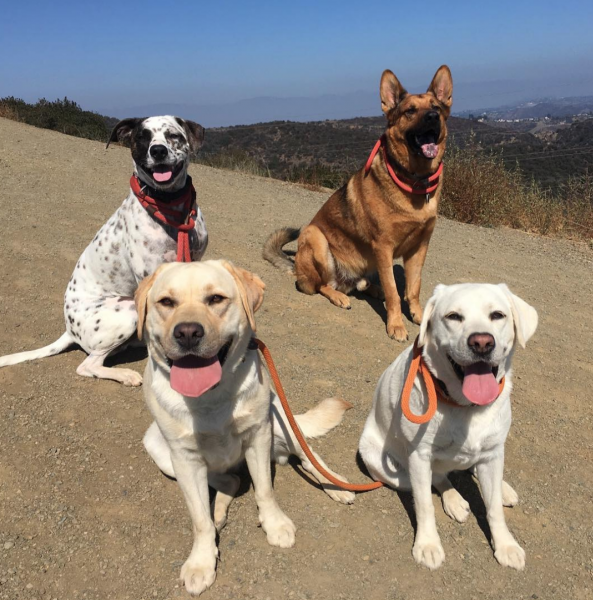 Check out this guide to dog-friendly dates in LA for a day full of fun! If you’ve been sticking to that measurement from Day 3, you should see some difference in your dog. Or perhaps, you don’t and it’s time to consider changing their diet. During your dog’s annual vet exam, ask your vet how much fat, protein, and grains your dog should be getting for their age as well as activity level. By re-evaluating your dog’s diet, they will feel better and live longer. 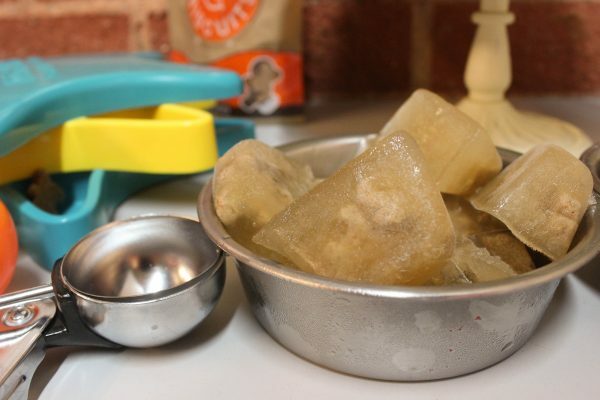 Many dog treat recipes use simple ingredients that you already have in the kitchen. Homemade treats are healthier because you know they don’t come with artificial dyes and ingredients. Plus, they are made with love. Does your dog get the same 30-minute walk every day? Switch it up. 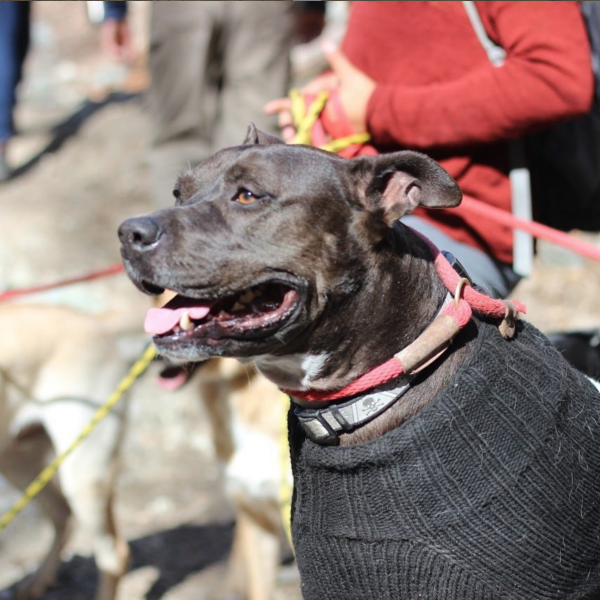 Hire a dog hiker, sign up for a beach day, or mix in daycare a few days a week. 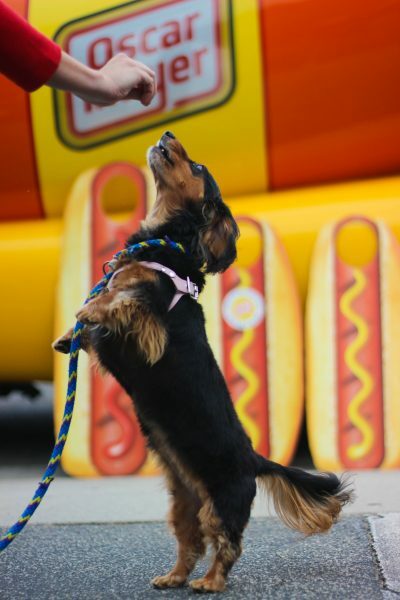 Whatever it takes to give your dog a new and exciting routine. Day 31: Make a collage of all your progress! We hope you have been documenting each day as a marker in your progress towards a happier, healthier dog. Make a photo or video collage of all your progress so far as your motivation to keep going. 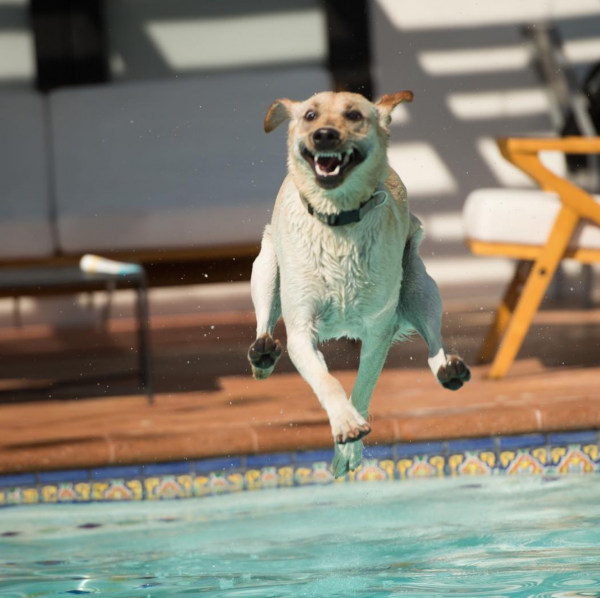 Does your dog seem happier or healthier from this 31-day challenge? Write to us for your chance to be featured!